Channel veteran returns to the industry less than four weeks after announcing Citrix resignation. Belinda Jurisic has been tasked with leading Veeam Software’s channel charge across Australia and New Zealand, replacing Amaury Dutilleul-Francoeur as Head of Channel Sales. Jurisic returns to the industry less than four weeks after announcing her resignation as Channel Sales Manager A/NZ at Citrix, and will report directly to Veeam A/NZ Vice President, Don Williams. As part of the transition, Dutilleul-Francoeur will move into a broader regional role with the backup and recovery specialist, as he attempts to expand the vendor’s footprint across Asia Pacific and Japan. ARN can confirm that Jurisic will primarily focus on driving growth across enterprise sales and channel, taking charge of the Veeam ProPartner program in the process. In this role, Jurisic will head up a partner network spanning more than 2,000 resellers locally, helping the channel provide availability solutions to customers on both sides of the Tasman. “This is an extraordinary opportunity to be asked to lead the A/NZ channel business and to maximise the strong growth opportunities for Veeam and our channel partners,” Jurisic told ARN. 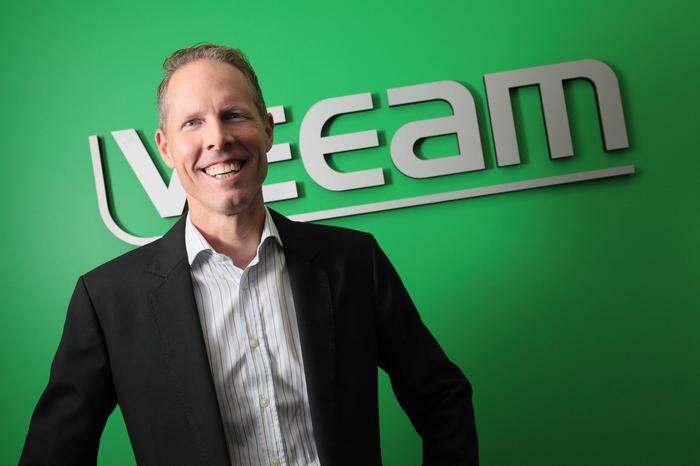 “Veeam has taken on the challenges of rapid growth and expansion and thrived. More importantly, so has its channel partners. I work best in a collaborative team environment where the goal is to build a mutually profitable channel. Specific to the enterprise market, Jurisic told ARN that an “exciting opportunity” lies ahead for the channel, as the vendor attempts to cement its place at the big end of town. “The strength that Veeam has in the mid-market is an area that I’m very comfortable with through my experience with both Hewlett Packard and Citrix,” she added. In addition, Jurisic said partner value can be found through leveraging core alliance relationships, with strategic vendors such as Cisco. “They’re the relationships that the enterprise partners would definitely be able to work with us closely to align to and take the Veeam product alongside the infrastructure products to market,” she added. According to Williams, local cloud growth continues to occur across the entire market spectrum, spanning small to medium businesses, mid-market and enterprise. “The expectations of the enterprise have matured, as they adopt more highly-available environments that are built on virtualisation, cloud and new storage technologies,” Williams told ARN. Williams said Jurisic’s industry leadership and depth of experience will help further strengthen the vendor’s channel relations going forward, as customers take advantage of the hybrid cloud supporting Availability Platform. “As a channel-centric business, partnerships are critical in helping Veeam provide Availability solutions to our customers as they prepare to embark on their digital transformation journey,” he added. “I’ll be looking to Belinda to drive the change in engagement with our channel partners in strengthening and progressing it from where it is today. As reported by ARN, Jurisic resigned for her role at Citrix in early March, leaving after almost four years heading up the vendor’s local channel sales team. Before joining Citrix, Jurisic spent over a decade at Hewlett Packard, where she held the role of Channel Sales Director for the local market during her final five years with the company, following a number of years as Channel Marketing Manager. 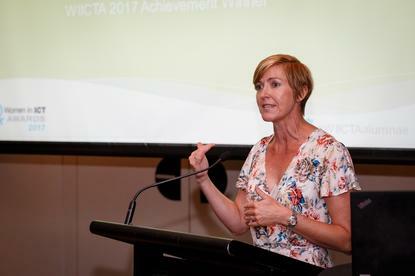 Jurisic was also awarded the ARN Women in ICT (WIICTA) Achievement Award in 2016.